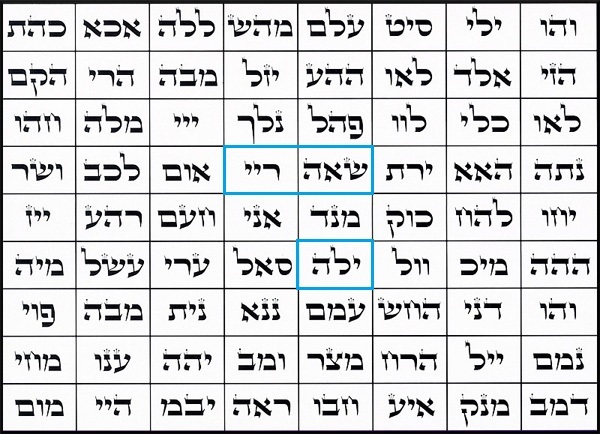 I stress that I knew Conaiq was the incarnate of the Baptist before Jesus took me to our names close to the centre of the 72 Name Grid. The amazing thing is that I looked at the Names nearly every day for over two years without realising my name and initials were there in plain sight. But when I was called I saw them. In the Bible, it is the Baptist who baptises Jesus. This has led to much speculation over the years about why John the Baptist induces Jesus into the latter’s own church. However, in Greek ‘to baptise’ merely means to ‘wash’ or ‘clean’ or ‘immerse in water’. The Baptist therefore cleanses or washes Jesus so that the latter is spiritually purified, enabling him to be reborn as Messiah. 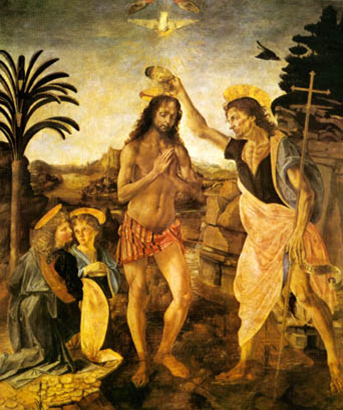 In early 2007, the incarnate of the Baptist performed a treatment or cleansing on me. 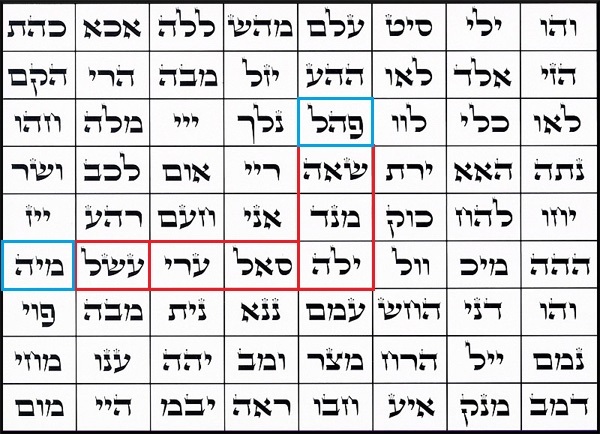 It clearly washed away a blockage, which was the beginning of my awakening and re-birth as Messiah. In early 2007, Conaiq had visited a psychic who told him that he was a re-incarnation of Percival. (It must be stressed that at this point I had little insight into my role as Messiah and no idea that I had incarnated from the same soul as Arthur). In the Chretien de Troyes story, The Fisher King, the Jesus and Baptist equivalents are King Arthur (the Fisher King) and Percival, one of the Knights of the Round Table. In this version of the Christ or Saviour myth, Percival finds the Holy Grail – like the Rod of Aaron or the magic cauldron, another symbol of the Jesus incarnate — but does not ask a question. As a result, the grail and the kingdom are lost. In our real version of the story, Conaiq – the reincarnated Percival and the Baptist incarnate — does ask the question of the Fisher King or the Jesus incarnate, me. It is: ‘Would you like a treatment (or cleansing or baptism)?’ We even discussed why this question had never previously been asked, at the time of the treatment. Interestingly, Conaiq commented afterwards that it was the most difficult treatment he had ever given, having had to remove a force which resisted this cleansing. It may be that only the Baptist incarnate had the spiritual power necessary to remove an etheric attachment, possibly placed there by the dark side, from the Jesus incarnate. In any case, the Grail or the King and by extension the Kingdom of God on earth was saved as a result. In the Fisher King story, the wounded King has a cousin who was beheaded. In real life, my cousin Jill was murdered by her husband. He took a hammer to the back of her head, pummelling her until she was dead. This was effectively a beheading of the cousin of the King, demonstrating that this myth is part prophecy, as is the Bible story, in which the cousin of Jesus is beheaded, in this case John the Baptist. 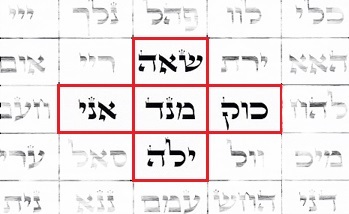 Her name is encoded in the boxes ringed in blue right. Neither the Baptist incarnate, nor the incarnate of the Father-Mother consciousness has any desire – or divine backing – to act as Messiah, which I know will disappoint many freemasons and members of secret societies.